Morclean exhibited at the Cleaning Show in 2013 with the Bin Wash Machine and we were awarded runner up in the Cleaning Show Innovation Awards. 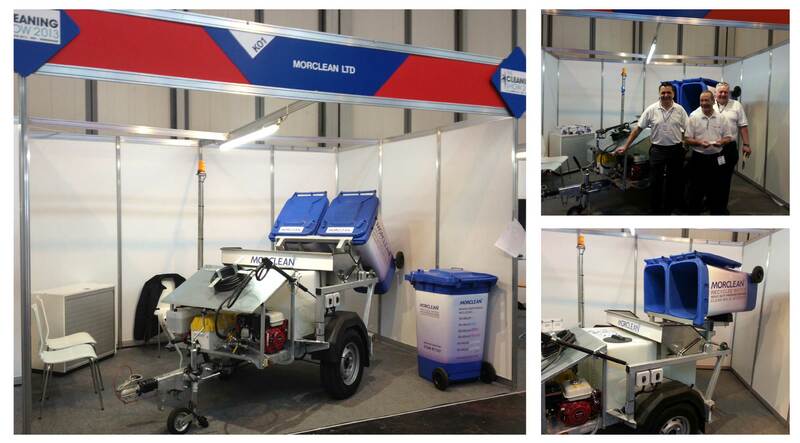 From 19th- 21st March 2013 Morclean exhibited their Wheelie Bin Wash Machine and the judges thought it was so impressive that it was awarded the 'runner up' in the Cleaning Show Innovation Awards in the catagory for Pressure washers/Graffiti removal products and services. There were over 200 exhibitors at the show at the NEC Birmingham for the Cleaning Show so our award winning wheelie bin wash stood up to some strong competitors. Thank you for the vote of confidence in our product, we enjoyed exhibiting our products and meeting both new and old faces at the stand. We had a fantastic time exhibiting at the Cleaning Show 2013 and none of it would of been as enjoyable without all those who visited us in Hall 6, stand K01. Thank you! Hopefully see you in 2015, Cleaning Show!